Special Assistant to the President (SAP) Christopher Lawrence “Bong” Tesoro Go displayed on Sunday his basketball prowess when he played at the UNTV Cup Executive Face Off 2018 in Pasig. Go said he is grateful to be invited to play together with other executives from various government departments. “Thank you for this opportunity to play here in the third season of the executives. My last play was at the regular games of UNTV and I was so happy because the Araneta was filled with a lot of people, it was good to play in front of many people,” he said. Go explained that he is even happier that he played against players who belong to the same age bracket and category. “Now it is above 40 and executives, I will be able to run, last time it was difficult for me to play against the younger players. I’m happy that it’s the same category,” he said. Go stressed that more than having a good time from playing for Team Malacañang, their goal as a team is to build rapport among themselves. “This camaraderie among executives… thank you to UNTV because you made the teams united in playing basketball, this doesn’t happen often, when I heard we’re Team Malacañang my only problem was the schedule,” he said. To promote President Rodrigo R. Duterte’s campaign against drugs and criminality, Go encouraged public servants and the young people to divert their attention on playing basketball and other sports. 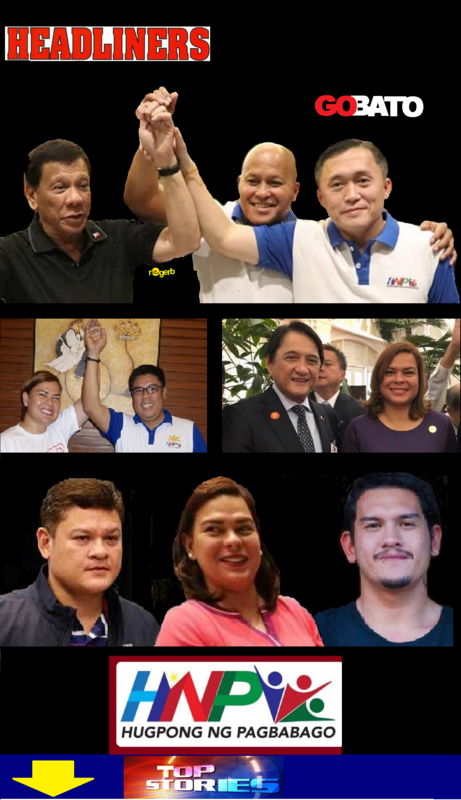 “That is Mayor Duterte’s campaign — no to drugs, no to criminality. Let us keep the young people away from drugs, let us play basketball and we will be spared from harm,” he said. The UNTV Cup is a men’s charity basketball league composed of 14 teams organized by government agencies in 2013. Celebrities, ex-professional and amateur basketball players compete in the league.